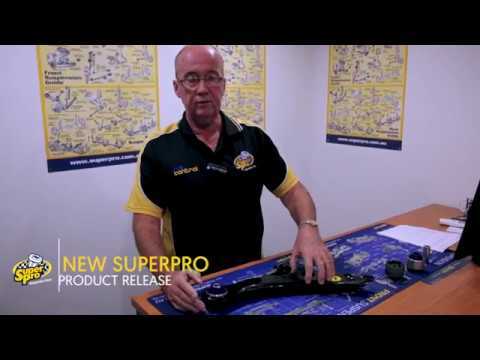 SuperPro arm kits offer the ideal repair and repair upgrade option. The common failure point in the arm as fitted to these vehicles is the vertical pivot bushing in the rear position. This bushing controls braking stability and wheel alignment. Installing the SuperPro spherical style bushing gives handling and braking enhancements. The front crossbar bushing maintains a similar material to O.E to help absorb unwanted noise transfer along the arm. With the superior SuperPro rear position bushing, the wear and side twist load on the front position is reduced leading to increased durability. Designed and packaged to be replaced as a pair. SuperPro maintains it is critical for a pair to installed to any application at the same time to avoid any detrimental handling and braking characteristics from a mismatch of bushing material.